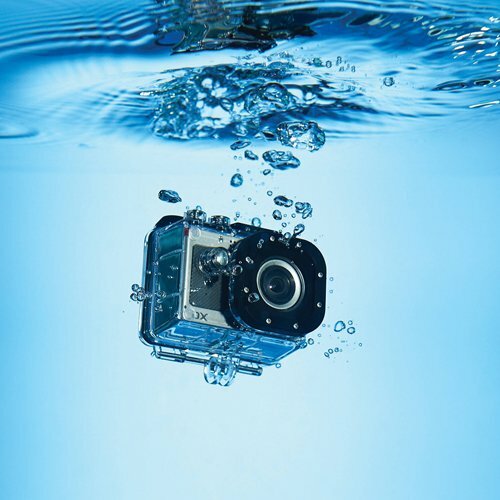 There are plenty of rugged cameras out there, and even a few that will allow you to take your photography and videography underwater. The quality often suffers on these models, though, and competition is fierce to build an action camera that still provides professional quality imagery. That’s where the Activeon DX enters the market, in direct competition with GoPro’s Hero line of cameras. The Activeon DX features a 12-megapixel CMOS sensor, with a 152-degree wide angle lens. The lens itself is comprised of 8 elements of aspherical glass, with an F-stop of 2.4. The camera is capable of shooting full HD 1080P video at 60 frames per second, and the battery lasts up to two hours. You can check out your video footage or photographs on the 2-inch built-in LCD display. The camera supports digital zoom of up to four times magnification. I wish it was optical zoom instead, but that would make it much more difficult to keep the camera as safe from water and dirt as it needs to be. The included housing is waterproof down to 196 feet, meaning you can take your camera anywhere you want and not have to worry about it becoming damaged. One of the nicest features of the Activeon DX is that you can control it from your iOS device. 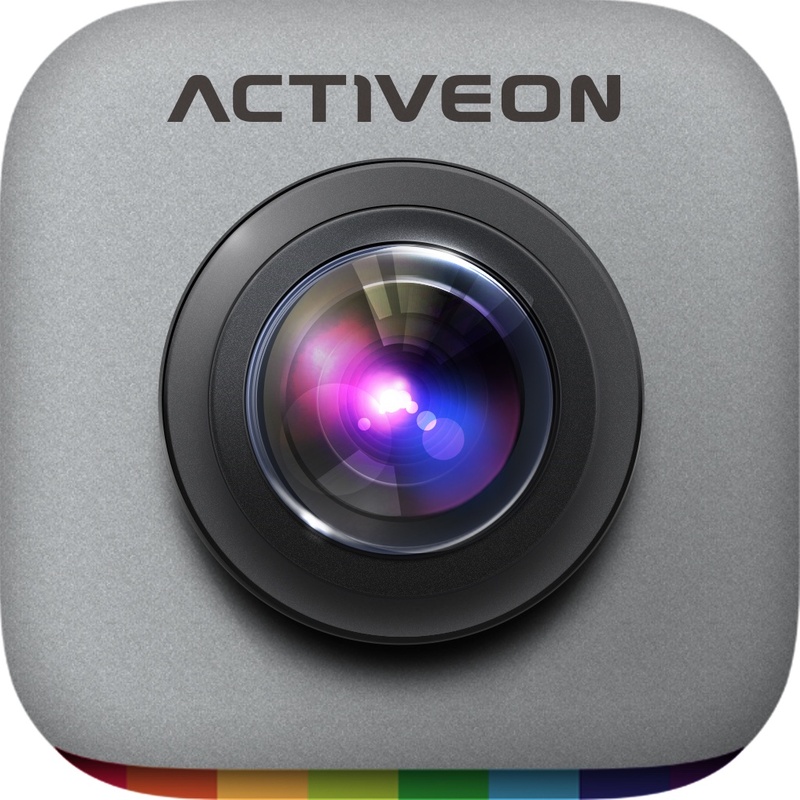 Using the Activeon App and the camera’s built-in Wi-Fi, you can see what the camera sees and choose to start or stop video recording or shooting photographs. You can also view and download the images, or change the camera settings. The app is easy to use, and works beautifully on the iPhone, but downloads are canceled if you receive a phone call or close the app. 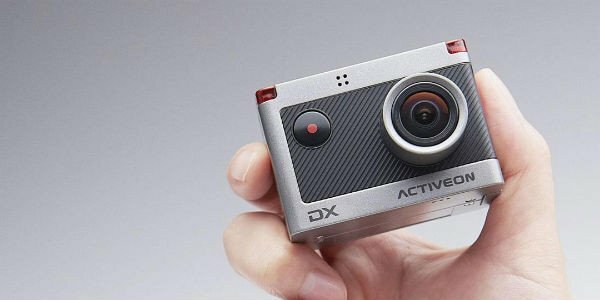 Like the GoPro Hero, the Activeon DX is a very tiny camera. I have medium-sized hands, but I found operating the camera a bit awkward sometimes. If you have large hands, you may find yourself accidentally covering the camera lens frequently if you aren’t careful. Other than that, the camera works almost flawlessly. The wide range of accessories available for the camera means you can really take it almost anywhere. You can get a wide variety of mounts, for attaching the Activeon DX to anything from your bicycle to your helmet. 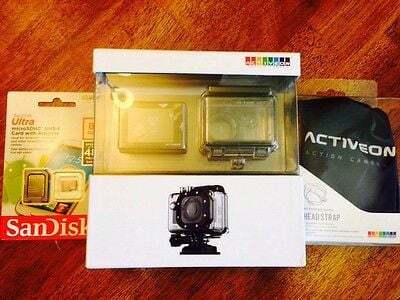 The camera also includes a waterproof housing, and even has an aqua mode that adjust the white balance and color saturation for underwater video recording and photography. Check out the underwater footage from the camera below, or click here if it fails to load. The Activeon DX is an excellent action camera, and performs well under almost any circumstances. You can use it in the rain, at the beach, poolside, or almost anywhere else you might want. You can purchase the Activeon DX camera from Amazon for $150. If you’re looking for a camera that can go wherever you go, this is a great choice. It holds up well in almost any environment, and produces stellar pictures and video.